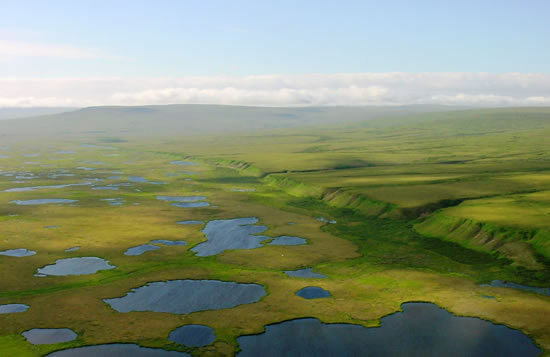 The lowland delta of the Bering Sea coast. 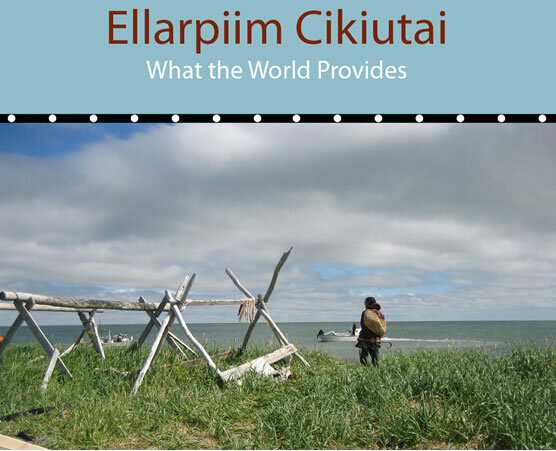 Ca tamalkuan aklukengnaq'lallrulliniamegteggu, caskukengnaqluku. Ca-wa tua-i pitkevkenaku kiingan una wani aqsaqum imarkaitellerkaa tua-i kiingan tua-i pingnatuutekerrlainarluku. Cat-llu nurutaarcetenritengnaqluki, cat tua-i nangengraata. Ap'eurlumeggnek iq'meng inglua imarkarcuqcaarluku. Our ancestors tried to use everything for clothing and tools. They were constantly hunting to fill the stomach with food. Though everything was depleted, they always made sure they had enough to survive. They'd say they were always hunting food to fill the other corner of the mouth. Augkut wa allrakum iluani ayagniryaraat, ciuqliuluku imarpiliuryararput unani cenarmiuni, makut yuungnaqlemteni waten tungliqu'urluteng taiguralriit caliaput, iralutgun llu kiagmi yaavet uksurvianun waten tungliqutaciicetun piurquvceteng assirciqelriit. 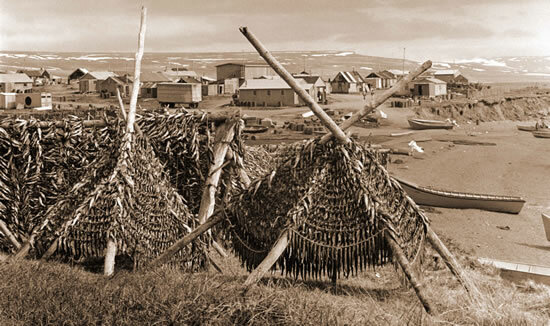 Nauwa nallunrilkeci tua i pingnaq'lalriani, pingnaqkengaput pellugaqata makut allat alaitulriit, nugtarrluta ll' tuavet tua i. Tamakut tua i aturluki piyunarqeciqut. During the time they start to hunt again in spring, first comes ocean hunting by those of us from the coast. Those of us who subsist know that when one activity is over, others start, and we move on. It would be good if you presented these in order [through the seasons]. Our story begins with preparation in the village and moves through spring, summer, fall, and early winter harvesting activities. We then return to the winter village, where activities today, as in the past, focus on sharing the harvest and on renewal for the coming year. Maurluirutma aug'um pilallrukiinga neqmek qanrutaqamia, eneq-gguq taugaam kiimi neqngunrituq. Neqem-gguq qainga ilutuumarmi neqnguuq. Assiitniluku-llu neqa tauna qanresqumanritqapiarlua. Nani-gguq arenqiallugeskuma nutaan cagnilriamek tauna neqniatnilqa, assiitnilqa-llu neryugyaaqeciqaqa kaikuma. When my grandmother talked to me about fish she'd say that the bones were the only inedible parts. She said that the body along with the innards was food. She told me never to be critical of food and say that it was bad. She said that if I was in a desperate situation and hungry, I would long for that same food I had criticized.